Previously, Nubia has launched its gaming smartphones. 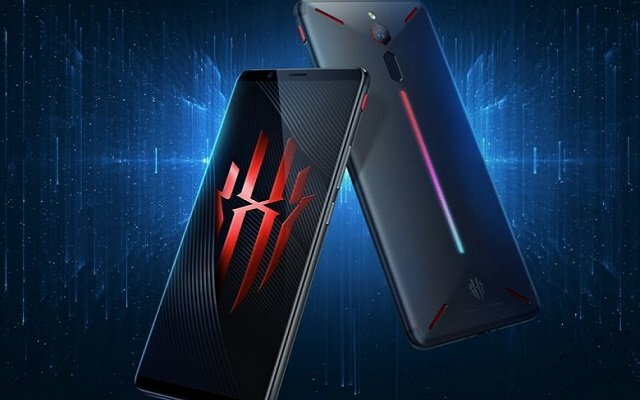 Now Nubia is working on another gaming phone, Magic 3. Nubia Red Magic 3 Benchmark Confirms Snapdragon 855. The Nubia Red Magic 3 has gone through the Master Lu benchmark with its Snapdragon 855 chipset. The tested unit only had 8GB of RAM. However, this is not only the configuration, but we may also get 12 GB RAM model. Moreover, this particular unit sported 128GB of storage. The screen will have a resolution of 1,080 x 2,340px. 1080p displays are the norm for gaming phones as they prioritize performance. The nubia Red Magic 3 is expected to have a 5,000mAh battery and 30W fast charging. A built-in fan will provide active cooling to the chipset, that’s a first on mobile. Last year, Nubia has launched Red Magic Mars with up to 10GB RAM. The smartphone is specially designed for people who love to play games on mobile. Nubia Red Magic Mars has 6” IPS LCD screen (1,080 x 2,160px). The phone comes with two touch-sensitive areas on the side of the phone called shoulder buttons. There are stereo speakers with DTS 7.1 audio for a powerful experience. To make the gaming experience more powerful, the phone comes with a 3,800mAh battery. We may hope better specs in the upcoming gaming phone. Let’s see what actually we will get in the upcoming phone. Till then stay tuned for more updates.